If you haven’t heard already, our company Amiga Engineering is the only privately-owned commercial service bureau for Metal Additive Manufacturing (Metal 3D Printing). This is a new implemented side of our business that has physically been added to our company. A new laboratory has been built within our in-house machine factory, by inspired influential individuals & leaders; that also helped build up the data knowledge and wisdom for this specific niche for our company. I think the leaders involved in this are a form of superhero. They daringly stepped out into the ‘unknown’ and helped create a new and exciting field added to the manufacturing and machining sector. 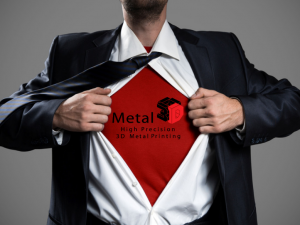 There are already existing sectors that dabble in Metal Additive Manufacturing (but not at a public or commercial level), and yes, you may be thinking “But I’ve heard of other companies in Australia that do metal 3d printing…” you are correct in a sense – they offer the service and can have your product made, however the metal printing itself or manufacture of the metal parts is actually outsourced overseas. So my question to you is, why outsource overseas, when you can now utilize a company within Australia? We have had some amazing interest in our new capability, and the extraordinary point of coming to Amiga Engineering is that we can also provide post processing of metal 3d printed parts within the same facility. We actually have a hugely versatile in-house machine shop that provides fabrication, manual machining, CNC machining, wash grinding and much much more. When working with or coming to Amiga Engineering for Metal 3d Printing, you are not only supporting this astonishing technology for your local business in Australia, but you are also supporting your local machinists, welders, fitters and turners and manufacturer. I came across an article that had a small note or example from a gentleman’s own book he has written about leaders… I liked what he wrote (the small portion that I read), and of course there are always going to be different opinions on the matter. I read comments that were noted by others who came across the same article. I agreed with what some said, and I disagreed with what others said. Leaders are innovative, and when they rush towards the unknown, I think they actually do a bit of research first…so technically it’s not the “unknown” …but I guess to an outsider it can seem like it. Leaders in business do what they can to keep a business running – exploring and instilling new ideas and technology. Leaders are inspiring with their bravery and ability to keep a business alive in a difficult or changing industry. Leaders are heroes in their own unique way, a leader is someone that you can look up to and can turn to for information, advice and knowledge. I have heard of and have seen too many companies shut down over the recent years in our industry – not due to poor/bad leadership – but because of the poor/bad support from industry. Through unfair playing fields and uneven competition. I’m focusing and relating to the Australian Manufacturing industry. A leader only exists when you have a ‘follower’. The definition for follower is “a person who supports and admires a particular person or set of ideas”. I believe that support, backing, encouragement and collaboration work hand in hand with leadership. You can’t have one without the other. For a great leader, we also need great support. So I encourage all of you who have read this, to please see what you can do to support your local manufacturer and leaders in industry. Also, have a look at our websites www.amigaeng.com.au and www.metal3d.com.au to see if there is something we can help you with. hello there and thank you for your information – I’ve definitely picked up anything new from right here. I did however expertise some technical points using this web site, since I experienced to reload the website many times previous to I could get it to load properly. I had been wondering if your web host is OK? Not that I am complaining, but slow loading instances times will often affect your placement in google and could damage your quality score if advertising and marketing with Adwords. Anyway I am adding this RSS to my e-mail and could look out for much more of your respective intriguing content. Make sure you update this again very soon..